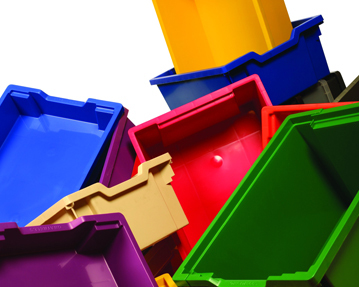 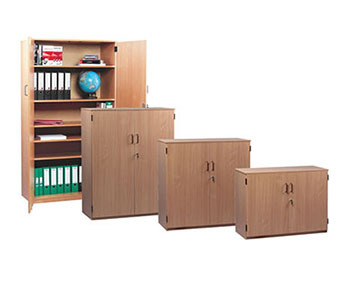 Effective storage is essential in any school environment. 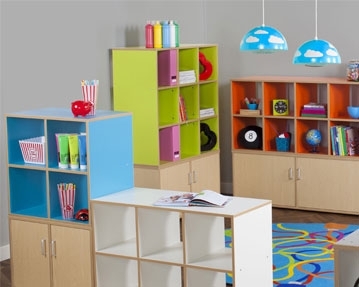 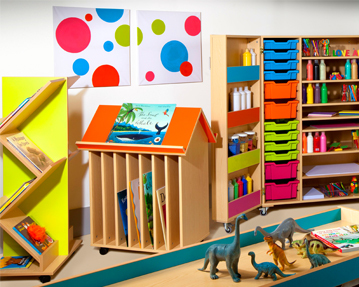 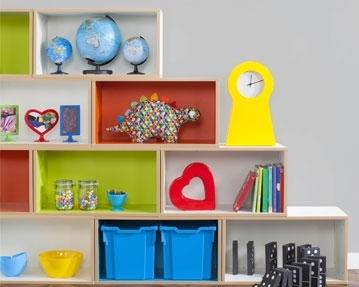 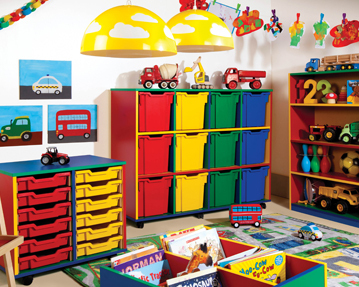 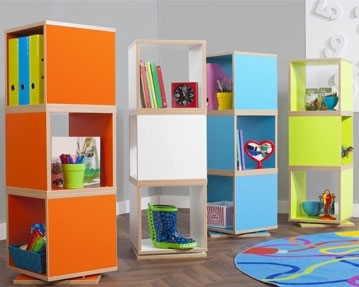 At Furniture At Work, we offer a variety of classroom storage solutions and should have everything you need to keep your space neat and organised. 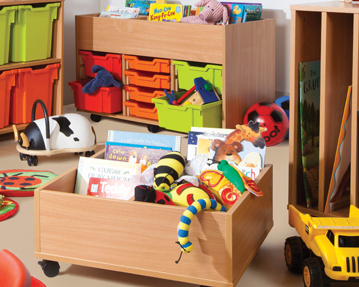 Our tray storage units come in a selection of sizes, designs and colours, and you can choose from models designed to accommodate shallow or deep trays. 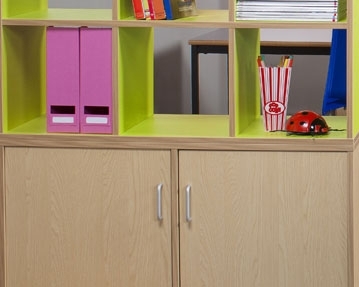 In addition, we offer arts storage solutions, including a multi-purpose cupboard complete with trays. 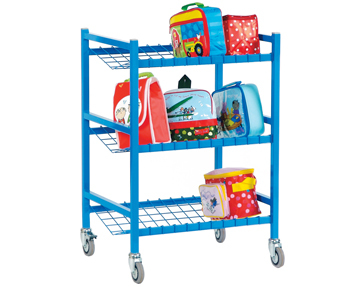 Also making a practical addition to classrooms, our school trolleys are ideal for housing everything from sports equipment to lunchboxes, while our Kinderboxes can store and display books and educational equipment. 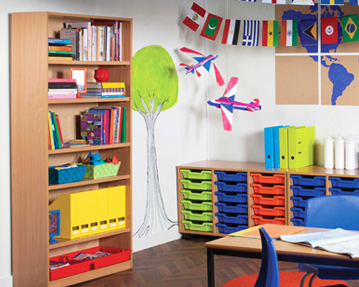 Take your pick from a variety of school cupboards too. 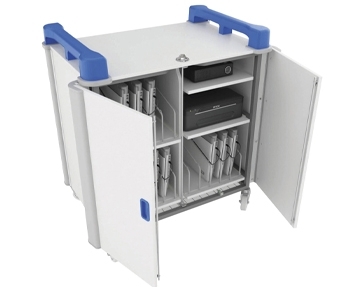 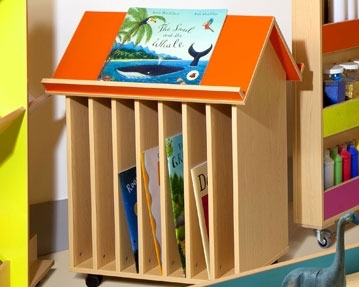 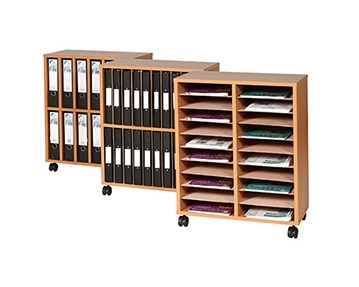 These units are designed to store files, books, stationery and more.